People camping out in their trucks is nothing new, but there’s been a growing increase in this style of camping over the past decade thanks to a surge in demand for truck-specific gear. The days of an uncomfortable night’s sleep in a cramped cab or a waking up to a sore back from sleeping in the bed are long gone since brands that focus on truck camping have popped up. It’s now completely possible to set up quite a comfortable and cozy campsite with your truck bed as your shelter. Avid truck campers may end up going so far as to dedicate their pickup entirely to camping and customizing a built-in shelter within the bed. For the average person, this isn’t necessary, especially if you won’t be camping in your truck often or if you need the use of your truck’s bed for other purposes. 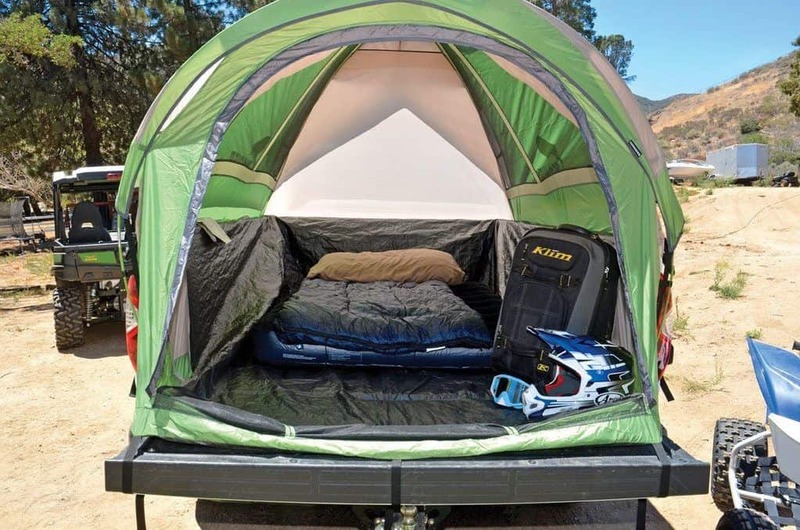 Rather of wrestling with trying to fit a standard camping tent into the bed of your truck, you can instead look for truck bed tents that offer maximum protection and ease of use. Just like any tent or shelter, don’t pick the first one you come across. 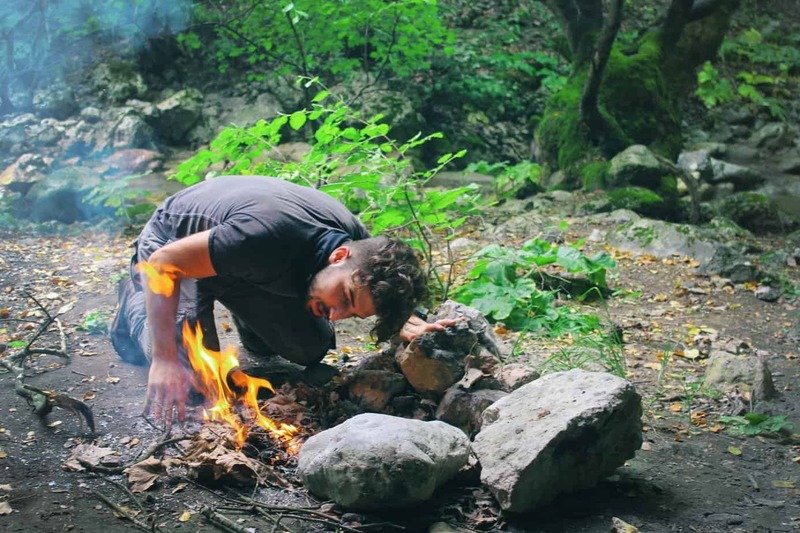 Spending some time doing a little comparison shopping ensures your money is well-spent and you don’t end up with a leaking tent during an unexpected rainstorm. Whether you’re new to truck camping or you’re just ready to upgrade to a truck-specific tent, here are the top three models to consider. Kodiak Canvas is a tent company that was born in the Rockies. Though they are still a fairly new business, having been around for only 10 years, Kodiak has already gained recognition for producing durable, long-lasting canvas tents. Kodiak Canvas tents offer reliable protection against the elements, are comfortable in terms of living space, can handle wind and snow, and are made with quality materials. The same characteristics apply to their Truck Tent. The Kodiak Canvas Truck Tent 6ft is an excellent choice for anyone that has toughness on the top of their list for shelter. The Truck Tent is a year-round shelter, even able to handle snow as long as accumulation isn’t too heavy. This shelter is made of Kodiak’s Hydra-Shield 100% cotton duck canvas, which is highly durable and watertight as well as breathable. The framing of the Kodiak Truck Tent is ¾” steel tube and the tent itself is design in a tunnel shape to allow for maximum interior space. There are a total of 5 windows in this tent, including a convenient cab access window. The Truck Tent also has a covered vestibule-style entry to help keep the rain at bay when getting in and out. Total interior height is roughly 5′. The Truck Tent is a floorless model, which is great for campers that don’t want to have to move their gear out of the truck just to set up their tent. The retail price of the Kodiak Canvas Truck Tent 6ft is $369.99 direct from Kodiak (Check out the latest price here!). This particular model fits all full-sized short bed trucks (from 5.5′ to 6.8′). This model should fit any full-size short bed, but Kodiak does include a short list of compatible truck models including all Ford F series, Chevy Silverados, Dodge Rams, Tundras, Nissan Titans, etc. Rightline Gear is an outdoor gear company in North Carolina that was founded in 1997. They are a well-respected company that was already doing quite well prior to 2003 when they introduced their Truck Tents. Rightline decided to begin manufacturing their Truck Tents line to help truck campers have a more enjoyable experience. Rightline Gear has a bit of a different approach to their truck bed tents. Rather than offering different tent styles, they instead focus on only one design known simply as Truck Tents. This really allows them to perfect their truck tent and has turned out to be a very successful approach. The only difference in their Truck Tents is the size of the tent in relation to the size of the truck bed you’re working with. The Truck Tent line is a floorless tent made of 2000mm PU 68D polyester (both walls and rainfly). The walls and rainfly also have tape sealed seams to further enhance the tents waterproofness. Setting up the tent is very easy thanks to color-coded poles and pockets. In that sense, this truck tent is just as easy to pop up as a standard tent. Additional features include interior gear pockets, ceiling lantern hooks, and overhead Sky View vents. Rightline Truck Tents come in a total of eight different models for full-sized long beds and shorts beds, mid-sized long beds and short beds, and a compact-sized short bed option. Depending on the size of your truck you can get an 8′ to 5′ tall tent. Retail price starts at a very reasonable $179.95. 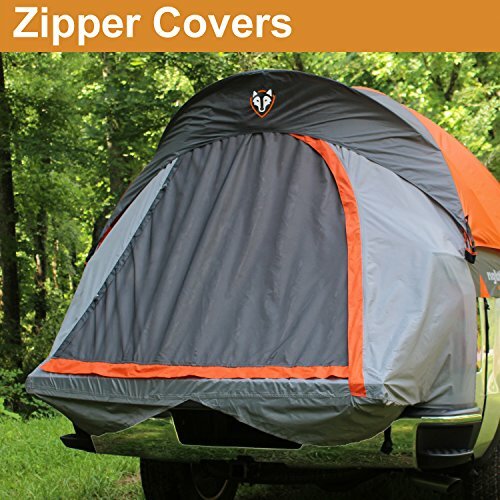 Napier Outdoors focuses solely on manufacturing truck and SUV tents. They have a few different models available, but for those wanting a quality tent on a budget the Backroadz Truck Tent 13 series is a great choice. This tent looks very much like a standard camping tent and comes in an attractive green color. It’s easy to set up and take down, plus it stores down compact enough to fit behind your truck seat. While many truck tents have open floors, the Truck Tent 13 Series instead has a fully enclosed floor design. This is a great idea for those that only camp on occasion and use their truck for hauling stuff otherwise. Instead of worrying about being in contact with whatever you were hauling in your truck, you can rest assured that the closed floor will keep you clean. The Truck Tent 13 Series has a full-cover rainfly and is mostly made of polyester taffeta with an 800mm PU coating. The interior offers 5.6′ of space from floor to ceiling and a few nice extras, like a built-in lantern holder to illuminate the tent. Another handy feature includes being able to set up the tent with a bed toolbox in place. Be sure to keep in mind that while the Truck Tent rainfly is seam-sealed, the rest of the tent isn’t. You will need to use a seam sealer product on all tent seams prior to using the tent if there is any chance of rain. The Truck Tent 13 Series $189.99 new direct from Napier Outdoors. Sizing options include full-size long bed, full-size short bed, full-size crew cab, and compact. 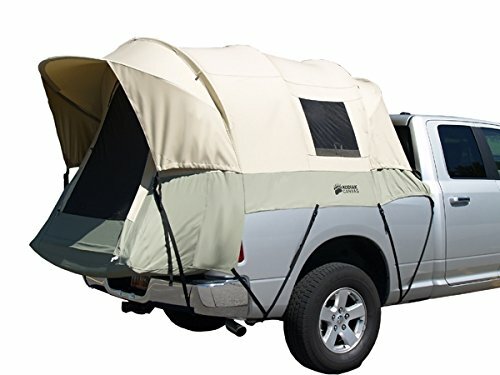 You might also want to check out the other truck tents on Napier Outdoors website if you’re looking for something of the same quality and ease of use, but with a different design. There are a lot of advantages to camping in your truck. You have the convenience of sleeping in your vehicle, a guaranteed safe foundation to place your tent, and cost-savings if you’ve been tempted to buy a small camper. Truck tents are an absolute necessity for those brand new to truck camping but are highly recommended if you plan on doing it often. Not only will it save you from a lot of frustration, but some models will also help ensure your truck is protected from scratches and other damage.